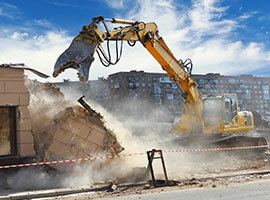 When it comes to Abbotsford asbestos removal, the only team to trust are the experts at Urban Environmental who are the only team that will be able to safely remove asbestos in Abbotsford. Asbestos is a nasty chemical, the rate of cancer among those who produced it or inhaled it is astronomically, and because of this when you are dealing with an asbestos problem the first thing you need to do is call Urban Environmental. We have the training and expertise to safely isolate and remove asbestos particles, and unlike other companies we have the government permissions do deal with asbestos. If you are looking for the best in Abbotsford asbestos abatement, the only people to call are the experts at Urban Environmental. Abbotsford mold removal is a tough job, and as the leaders in providing the safe removal of mold in Abbotsford, Urban Environmental is the proven choice to eradicate mold in the Fraser Valley. Mold is nasty, it is slimy, looks bad and even worse it is a danger to our families and pets. Mold can grow anywhere in the Lower Mainland, but here in Abbotsford it can get bad. If you are seeing mold growing in your bathroom, attic or are beginning to feel sick from being inside, you need to call Urban Environmental. We have been in the Abbotsford mold remediation business for years, and continue to provide our customers with our award winning service. Our teams will isolate the mold, eradicate it, and prevent it from growing again with our proven methods that have been created over the years. If you want the mold in your home gone, simply call the experts at Urban Environmental and start living a healthy life again. The leaders at Urban Environmental continue to provide other services here in Abbotsford. If you are looking to buy a new home, but think their might be a bit of a backstory that no one is telling you, now is the time to order our grow-op testing services. We will test the problem areas, and with our quick results, you will have your answers in a few days. As well, as the population of Abbotsford grows, so does the demand for dead body cleanup. Here at Urban Environmental we take care of everybody with care and concern, and make sure that it reaches the funeral home in great condition. Call today, and experience what an experienced and caring team can do for you in the worst of times, with Urban Environmental.